Premature ovarian failure (POF) is when a woman’s ovaries stop working before she is 40. POF used to be called premature menopause. However, POF is not the same as menopause. • Premature ovarian failure (POF) is when a woman’s ovaries stop working before she is 40. POF used to be called premature menopause. However, POF is not the same as menopause. Some women with POF still have occasional periods. Premature menopause is when periods stop before age of 40. This can be natural or caused by surgery, chemotherapy or radiation. • Missed periods are usually the first sign of POF. Later symptoms may be similar to those of natural menopause. • Most women with POF cannot get pregnant naturally. Fertility treatments help a few women; others use donor eggs to have children. 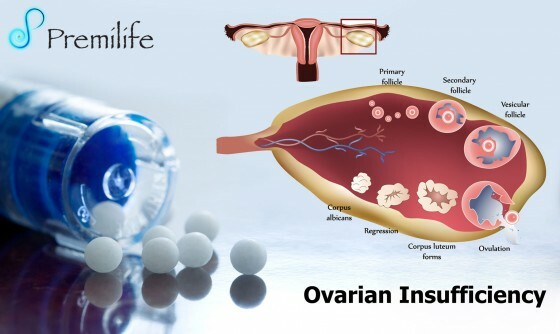 There is no treatment that will restore normal ovarian function. However, many health care providers suggest taking hormones until age 50. This entry was posted in Endocrine System, Female Reproductive System. Bookmark the permalink.